Dentists Sunbury: We offer the finest Dental solutions within a friendly and caring environment. Our practices have been set up to meet all of your dental needs, with our staff striving to deliver high quality dental treatment for you. Dr. Terry Rose completed his Bachelor of Science (1981), and his Bachelor of Dental Surgery (1984) at the University of Otago in New Zealand. 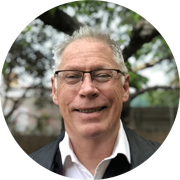 He moved to Australia in 1986 and opened Smile in Style in 1990, providing comprehensive holistic dentistry to patients in the Sunbury, Moonee Ponds and nearby areas. Dr. Rose believes in the power of holistic dentistry and that the health of the mouth is directly linked to the health of the patient. To that end he is an active member of the International Academy of Oral Medicine and Toxicology (IAOMT) and is committed to only using the safe amalgam removal protocols recommended by the organisation in his practice for the safety of patients, his staff and the environment. In addition to helping patients achieve a great smile, Dr. Rose also places great importance on the health of the mouth and the functionality of his patient’s teeth. He uses treatments such as orthodontics, CEREC technology, the KöR teeth whitening system, and dental implants to help patients achieve the smile they have always dreamed of. The Smile in Style offices are armed with the most advanced dental technology. Dr Rose performs some of the newest dental procedures using the Dental Laser, CEREC Omnicam, digital radiographs that use low amounts of radiation, and the Diagnodent Laser for early decay detection. Dr. Rose also uses computer guided technology for dental implants for accurate placement of implants. He performs root canals using the Rotary NiTi and Dental Laser using the PIPs and Sweeps techniques for improved root canal disinfection. Dr. Rose believes that continuing education is important. He is currently studying the Laser & Health Academy Master’s Program in Laser Dentistry. Dr Rose is also involved with training general dentists in the use of Laser and CEREC technology in Melbourne. Further, he ensures that he and his team stay up to date with the latest advances in dental technology by frequently attending professional seminars. When he’s not helping his patients, Dr. Rose spends his time doing Pilates, meditation, riding his bike, bodysurfing and traveling with his wife and three daughters. After growing up in Hong Kong, Dr. Helen Luo returned to her birth place of New Zealand to finish her education at the University of Otago, where she received her Bachelor of Dental Surgery. She has been working at Smile In Style since 1998. Dr. Luo has extensive experience in the use of CEREC for inlays, onlays and crowns; the Dental Laser and teeth whitening using the Kör whitening system. Her gentle approach is appreciated by not only the youngest patients at Smile in Style, but also by apprehensive adults who are able to receive dental treatment without feeling anxious. When she’s not working with patients, Dr. Luo enjoys exercising, cooking, and working in the garden. She has two daughters who also keep her very busy. Dr. Nashmie Cader joined Smile In Style in 2012. She was born in Sri Lanka and grew up in New Zealand. Dr Cader graduated from the University of Otago in New Zealand in 2009. Since completing a Bachelor of Dental Science, Dr Cader has gone on to complete a Graduate Diploma in Clinical Dentistry (Implants) from the University of Melbourne in 2016. Dr Cader enjoys treating adults and children for their general and restorative dental needs. She has a passion for designing beautiful CEREC crowns, inlays and onlays. She also enjoys improving smiles with the placement of implants and use of Dental Lasers. Dr Cader is also fluent in Tamil and Sinhalese. 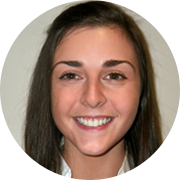 Nashmie originally joined the Smile In Style team in 2012 and more recently has gone on to do further studies to complete a Graduate Diploma in Clinical Dentistry from the University of Melbourne in the area of Implants. 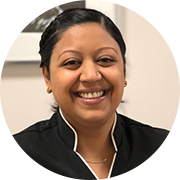 Dr Nashmie Cader has always been interested in improving her patients’ smiles and could see that dental implants are the best possible way to replace lost teeth and prevent bone loss. During the 2 year Graduate Diploma course, Dr Nashmie Cader has furthered her knowledge in implant dentistry, oral medicine and oral surgery to enable her to place and restore implants for her patients at Smile In Style. Dr. Barbara O’Brien was born in Canada but grew up in Australia. She graduated from the University of Sydney with a Bachelor of Dental Surgery in 1979. She joined the Smile in Style practice in 1999 after working in both the private and hospital sectors. Dr. O’Brien has extensive experience in general dentistry and is committed to helping her patients by using innovative technologies. Some of her most frequently performed procedures include teeth whitening, composite fillings, crowns and dentures. Dr. O’Brien uses tools such as the Dental Laser, the Diagnodent cavity-finding technology and CEREC for tooth restorations. Dr. O’Brien understands that good dental care means getting to know each patient; therefore she takes the time to consult with each patient so that she truly understands their needs. Dr. Rajcoomar was born in Mauritius but spent most of her childhood in the United States. In 2004, after graduating from the University of Melbourne, she worked mostly in private practice before joining the Smile in Style team in 2011. Dr. Rajcoomar provides expert and gentle care to her patients. She is currently pursuing a residency in craniofacial pain and functional breathing to better help patients with jaw pain, snoring, sleep apnoea and sleep disorders. She has completed her Postgraduate Diploma in Orthodontics with Progressive Orthodontic Seminars (POS) and she is also a Certified Invisalign Practitioner. 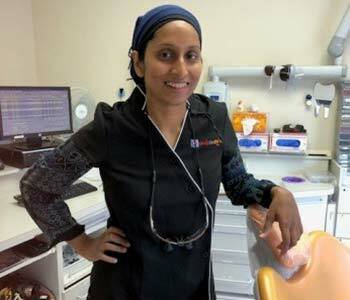 Dr Rajcoomar has completed the Oral Surgery course run by the University of Melbourne and is the main dentist in the practice that does tooth extractions due to her gentle techniques. Having developed her skills using the rotary NiTi, she enjoys the challenge of root canal treatment. With a focus on cosmetic dentistry, Dr. Rajcoomar uses the CEREC technology to create beautiful biocompatible porcelain restorations. 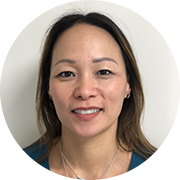 An avid learner, she always seeks out additional professional development seminars and training to learn more about advanced treatments and procedures that can improve her patients’ oral health. To assist her patients, Meenakshi is also fluent in French. When not seeing patients, Dr. Rajcoomar enjoys cooking, gardening, and travelling. 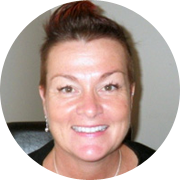 Peta has worked as a dental assistant in private practice since 1986 and during her career she has gained extensive experience in all areas of dentistry. She joined the team at Smile in Style in the year 2000 as a dental assistant and in 2014, moved into the role of Treatment Coordinator. Peta is passionate about providing high quality care to her patients in conjunction with dentists and other team members at Smile In Style. In particular, she enjoys the close interaction with patients and being available to help them with any questions or concerns that they may have about improving their smile and their dental treatment. Peta has completed a Diploma of Leadership and Management at RMIT and is enjoying applying her studies through practical applications in order to improve patient care and systems at Smile In Style. 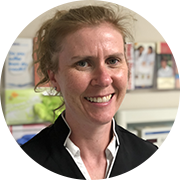 After completing her dental assisting training at the Royal Children’s Hospital in Melbourne in 2012, Brenda has gained extensive experience in all aspects of dentistry. Brenda more recently joined the team at Smile in Style in 2017 as the Front Office Manager. As the Front Office Manager in the Moonee Ponds rooms, Brenda provides a friendly and professional service for patients. She enjoys helping patients and their families coordinate their appointments and treatment plans, and assist with payment plans. She also enjoys the helping fellow team members in the surgery. Brenda is also fluent in Serbian. Outside of work, Brenda has a keen interest in health and fitness and is goal oriented. Kathleen Colton completed her Oral Health education at the University of Melbourne, and has been working at Smile in Style since 1998. As a skilled hygienist, Kathleen understands the importance of dental education and helps the Smile in Style patients prevent oral disease through education, information, and demonstration. She helps individuals recognise early warning signs of oral disease and properly care for their mouth, which in turn benefits their overall health and wellness. In addition, Kathleen can perform saliva and caries testing for individuals who frequently get cavities in order to help prevent future occurrences. Kathleen also uses the Diagnodent Laser decay detector to assist with the early diagnosis of decay. Kathleen provides various treatments including plaque removal through routine cleaning appointments and deep cleaning in order to control gum disease. Keeping her patient’s calm and comfortable is a top priority for Kathleen; therefore she uses local anaesthetic when required. Kathleen also assists Dr. Rose by taking dental impressions and preparing teeth for orthodontic treatment. Outside of work Kathleen enjoys going to the movies, cooking and spending time with her husband and young son. Stami graduated from a Bachelor of Oral Health in 2007. 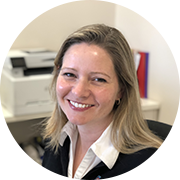 Since then she has worked as a Dental Therapist for the South Australian School Dental Service and as a Hygienist in private practices in Adelaide, Melbourne and in London. She joined the Smile in Style team in 2013. 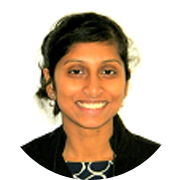 Stami is interested in continuing education and most recently obtained a Certificate in Oral Myofunctional Therapy. Stami has a passion for holistic dentistry where the whole body is taken into consideration; not just the teeth. These qualifications have enabled Stami to use the knowledge and take a more holistic approach when caring for her patients, both children and adults alike. Stami is also fluent in Greek. Renata Hemphill completed her training as a Dental Hygienist and Therapist at King’s College in London in 2009. Prior to joining the Smile in Style team in January of 2012, she worked in the private sector in London and Melbourne, earning valuable experience. More recently Renata has completed further studies and is now a Certified Oral Myofunctional Therapist. Renata understands that a patient’s overall health and wellness is directly impacted by the health of their mouth. Therefore, she educates and informs each patient about the benefits of proper oral health care and prevention of tooth decay and gum disease. 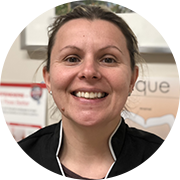 Renata believes patients’ health will improve when they understand both how these conditions develop and how to properly care for their teeth and gums. Because she has been trained to identify cavities and gum disease, Renata will examine each patients’ mouth for areas of concern. She will also perform dental x-rays and provide a professional cleaning. The young patients at Smile in Style especially love working with Renata because of her calm and gentle manner. Renata’s personal interests include cooking, reading, and making dresses. She also loves traveling the world, and is fluent in Polish, German and English. Robyn Allen has worked in the dental industry for more than 30 years. 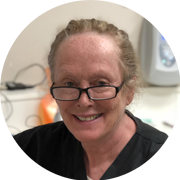 In her career, she worked for six years with the School Dental Service, where she and a team of dentists and therapists visited primary schools throughout the Western region of Melbourne. Her career path has also included work with an Endodontic specialist, as well as many years working in general dentistry practice. 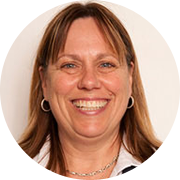 Robyn has been a part of our team since 1997, and works closely with all of our dentists. She finds work at Smile in Style is always interesting; with the various types of dentistry we offer our patients. Robyn enjoys developing relationships with our patients and families and assisting them with all of their dental treatment needs. Salli Graham joined the team at Smile In Style in 2016. She is friendly and approachable and has been working in the dental field for the last 20 years as a dental assistant and receptionist. 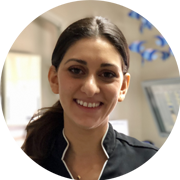 As Salli has had extensive experience working in general dental and also in the specialist field of endodontics, she understands many of the concerns that patients may have. As a result, Salli is able to work closely with her patients to present treatment plans in an easy to understand format, be available for any questions and ultimately to help them achieve their dental goals.